Difficult to Start Mobile Catering on Your Own? Comments for Difficult to Start Mobile Catering on Your Own? It was difficult to start mobile catering as there was no information on how to really start up, and the local council only gave limited information with regards to getting registered and food and hygiene training certificate. There was no guide on buying a catering trailers or vans, what equipment to use, how to get a pitch or anything like that. Also other catering trailer business owners were very reluctant to tell you anything on how to get started, so it was a little tough. Back to your question you can certainly start up on your own if you need to. 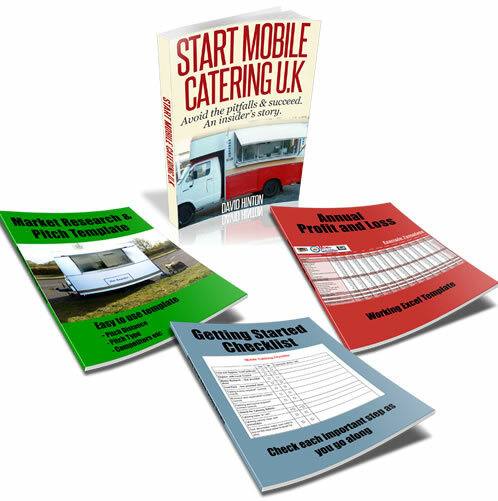 As this is how I first started, please sign up for my free start up guide and it will help you with getting started in mobile catering, it free for all! As I JUST want you to all succeed in starting your own mobile catering business even with limited knowledge.